2 + items $13.59 ea. 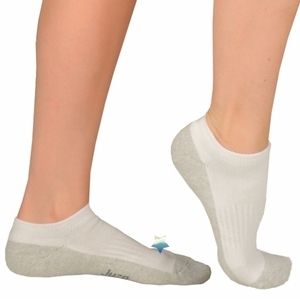 Juzo Silver Sole socks were designed for men and women with sensitive feet. Juzo Silver Style 5760AA is cut to fit just below the ankle bone. Available in White, Black and Pink, the women's pink color features a tiny Breast Cancer Awareness ribbon near the ankle. 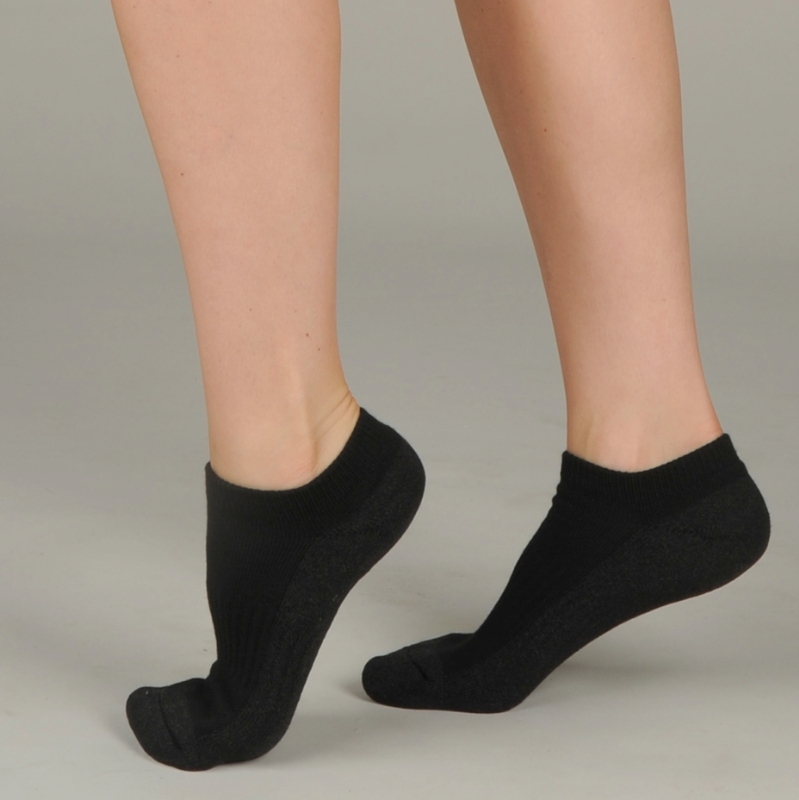 Their mild 12-16 mmHg compression increases circulation to the foot and ankle. Juzo Silver Sole socks have a pillowed sole which adds cushion to reduce blistering and callous buildup. The channeled toe seam helps reduce toe irritation. Juzo Silver Sole socks are recommended for athletes, diabetics, and people who work hard on their feet. Made with X-Static® - The Silver Fiber®. Latex Free.